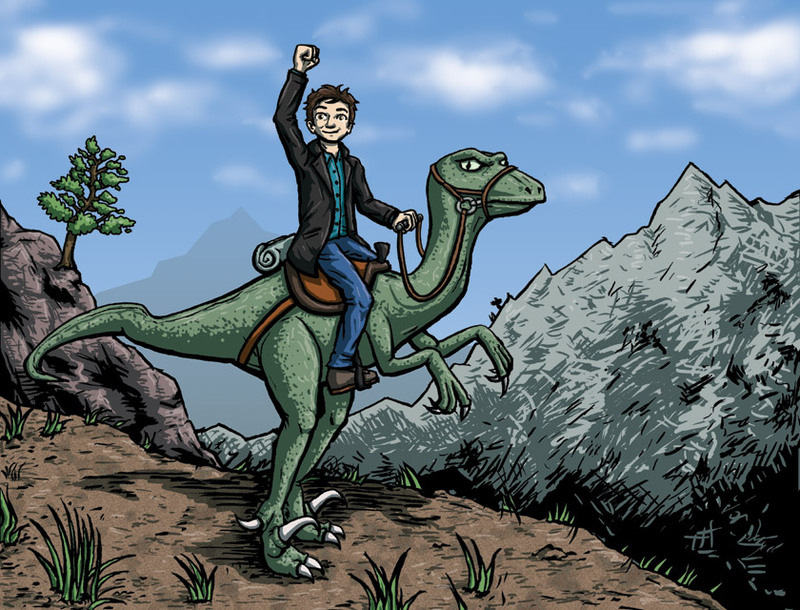 Illustration commissioned as a present; client requested picture of client's friend triumphantly riding a Utahraptor through the mountains. 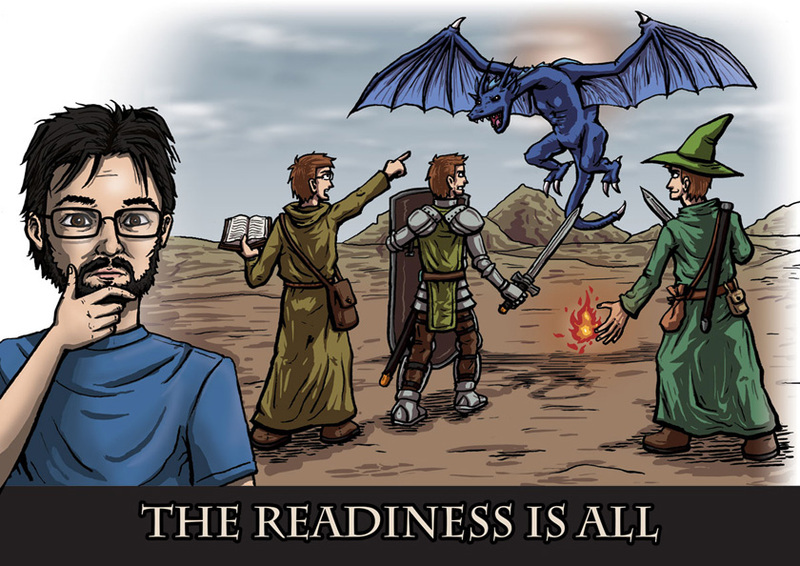 Commissioned illustration based on the line "The Readiness is All" from Shakespeare's Hamlet and Plato's tripartite division of the soul. Also, there is a wyvern. 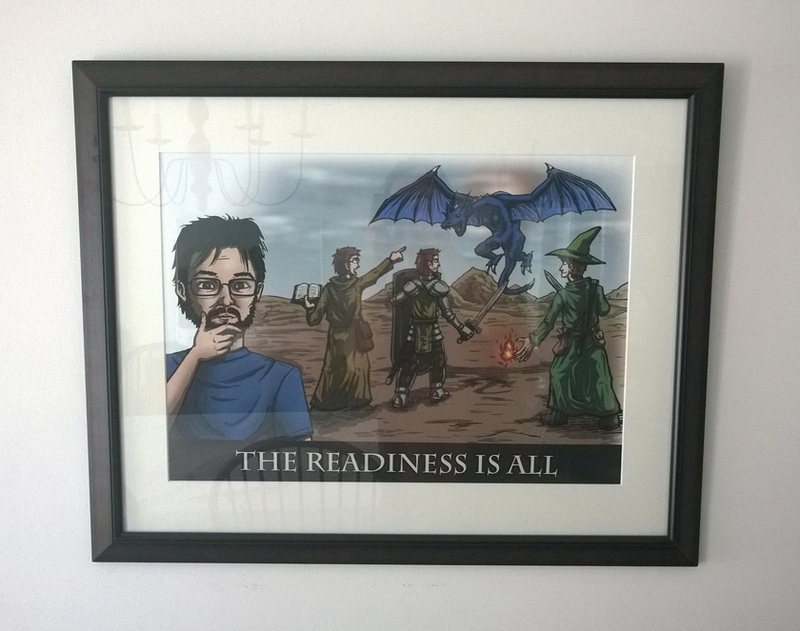 Picture inside frame is A2 poster-sized: roughly 23 x 17." 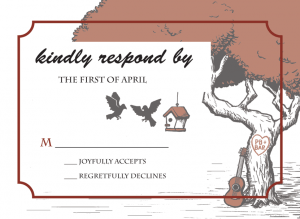 Wedding invitation suite incorporating themed design elements. 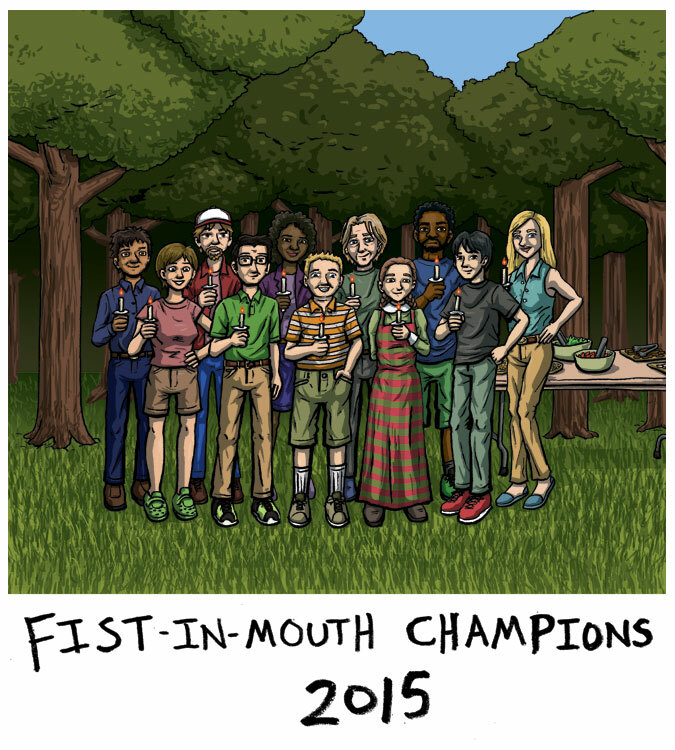 "Mouthfist Dream Team 2015" - a commission for a friend based on one of my dreams. 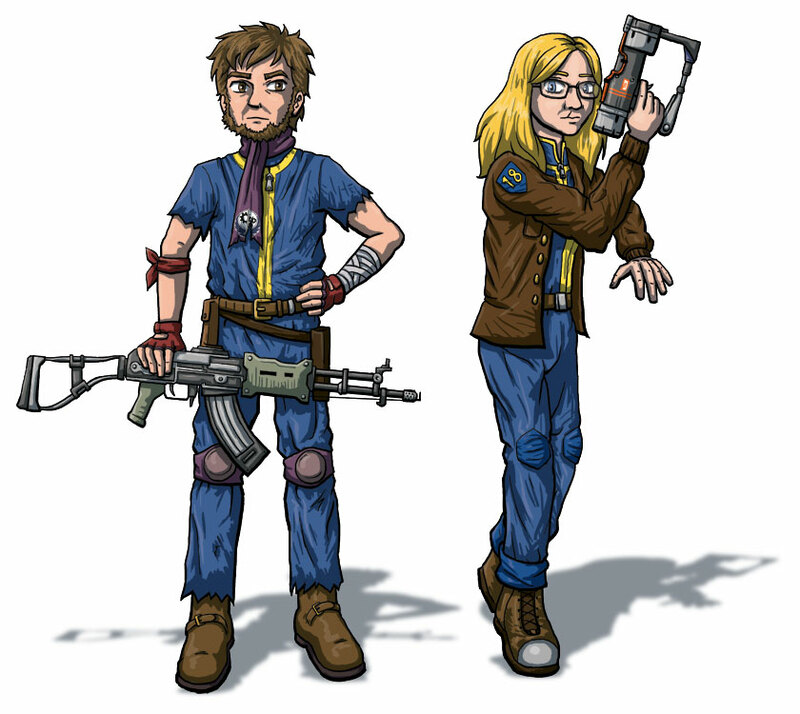 A Christmas present for the client's friend: client and friend depicted as characters from the Fallout video game series. 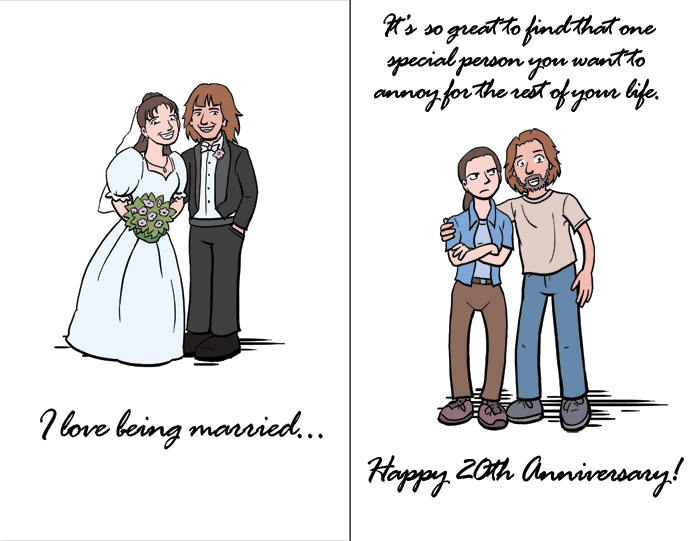 Custom 20th anniversary card - concept by client, art by me. 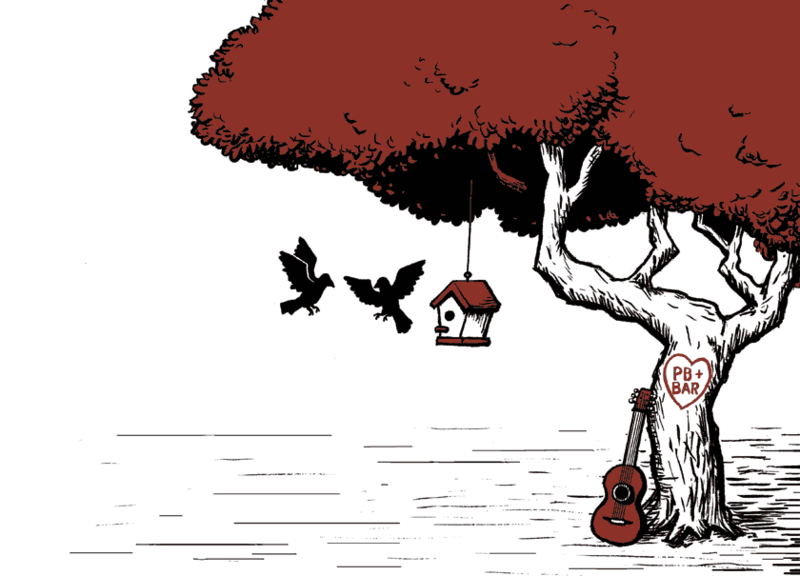 I can bring your artistic vision to life! 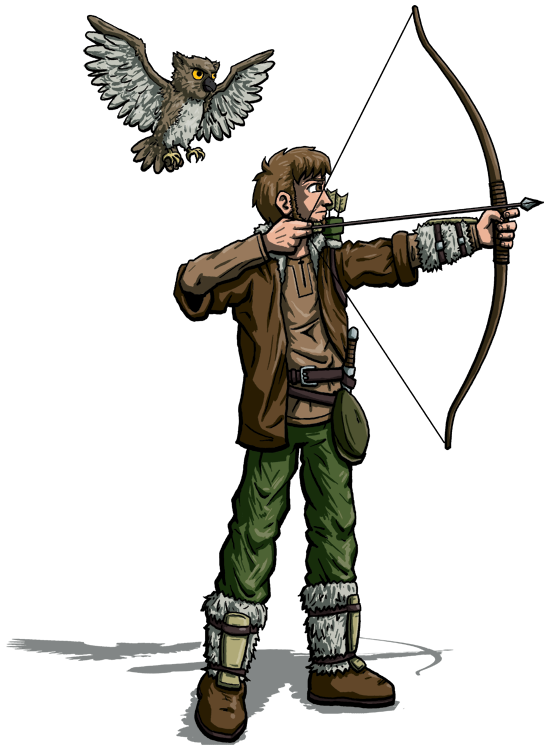 Commissioned illustration of a co-worker's Dungeons & Dragons ranger character. 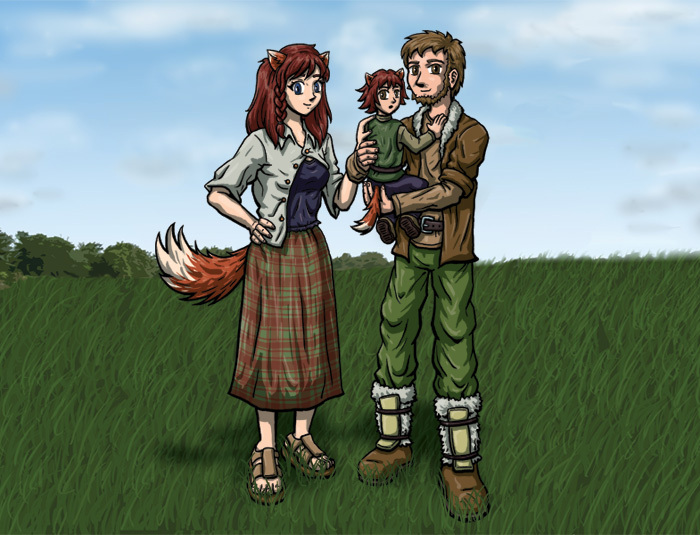 Commissioned illustration of same ranger with wife (kitsune hengeyōkai from Japanese mythology) and child. 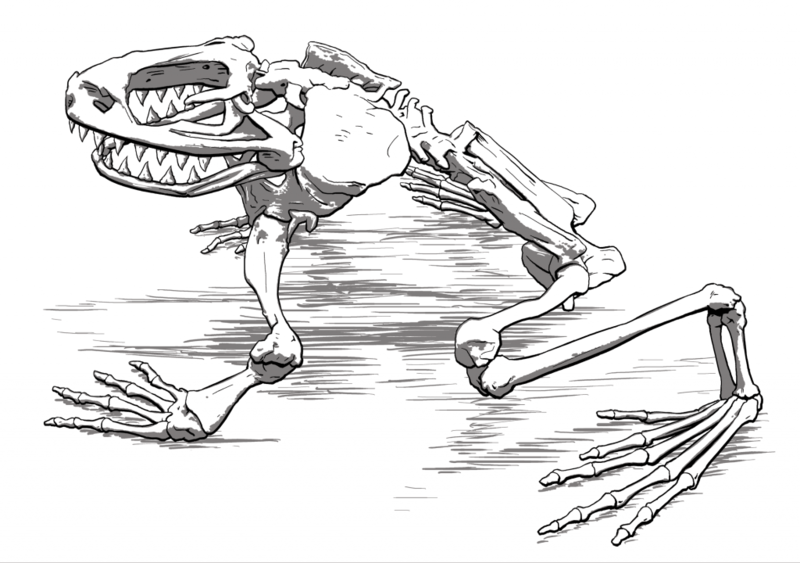 Frog skeleton with shark's teeth. 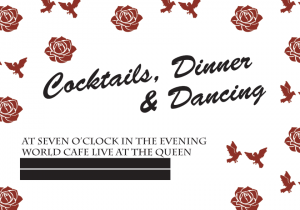 What hath science wrought? 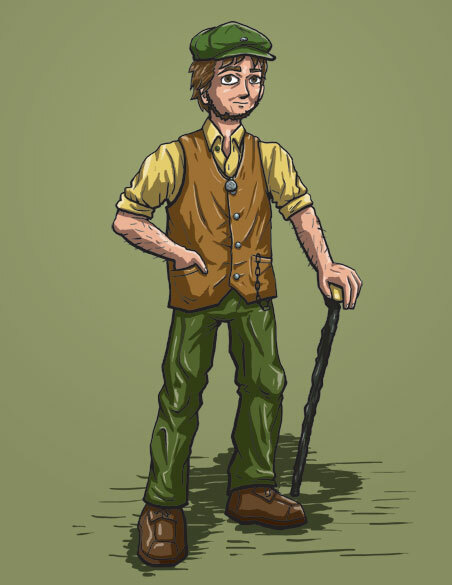 Commissioned illustration of a co-worker as an Irish mobster.